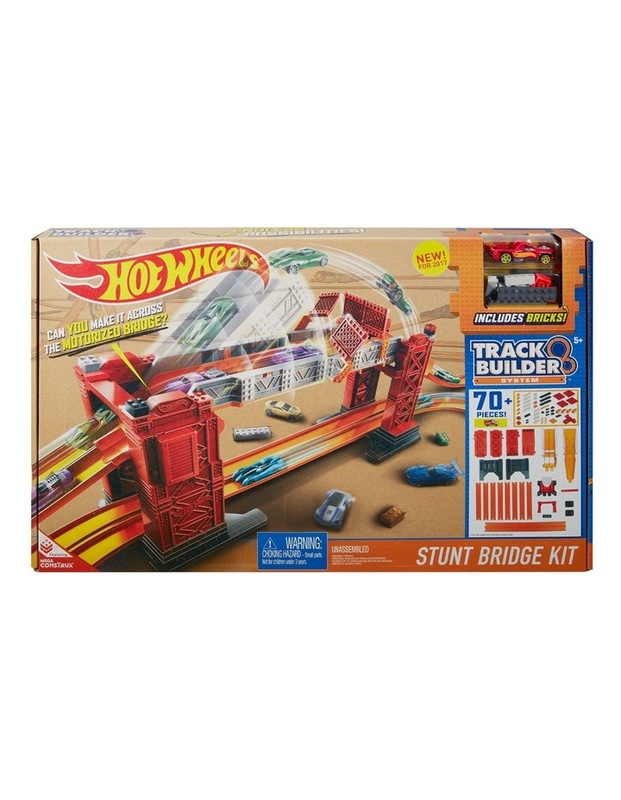 There are no limits to the stunts your kids can build with the Hot Wheels Track Builder Stunt Bridge Kit! Fuel their imagination to build outrageous track stunts with the addition of bricks. Test their timing skills by jumping off the motorized bridge over the epic gap. And when they're up for a new challenge? Re-configure and combine with other tracks and bricks to crank up the competition by challenging friends to a side-by-side race by launching two Hot Wheels cars through the bridge at once to see who takes the win! There is a world of possibilities in the world of Hot Wheels Track Builder. Ages: 5 years and up.